Department of Anesthesiology, University of Miami Miller School of Medicine, Jackson Memorial Hospital, 1611 NW 12th Ave. (C-301), Miami, FL 33136, USA. 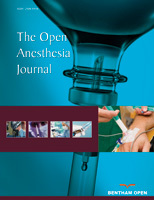 Concern exists about the potential risks of pulmonary aspiration with the laryngeal mask airway (LMA) due to its inability to provide a tight seal at the larynx. The safety of LMA use in the presence of gastroesophageal reflux disease (GERD) is unclear, as GERD is presumed to increase the risk of aspiration under anesthesia. VA Anesthesiologists were surveyed regarding their practices in the setting of mild, moderately severe and severe symptoms of GERD. Approximately half responded that they would use a standard LMA in a patient with GERD as long as symptoms are mild. Nineteen percent would not use the LMA in any patient with a history of GERD.